Join the conversation happening all day today on our twitter – get involved by tweeting @SlowArtDay or using the hashtag #TwitterTopicTuesday! Our focus this week is the news that several Andy Warhol prints, previously declared fake, are now considered authentic. Do you think this is a good move? 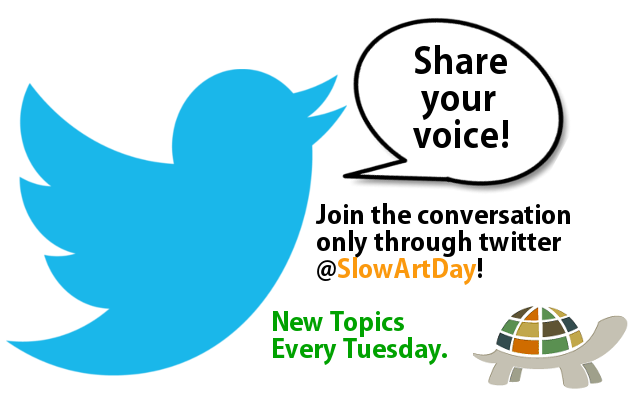 Read more about this on The Art Newspaper and respond to us on twitter!